Choral Music for Palm Sunday: 'Miserere' Composer Gregorio Allegri's "Miserere" is a piece of choral music so powerful that a 17th-century pope decreed it could be played only during the week leading to Easter — and then only in the Sistine Chapel. Martin Neary conducts the Westminster Abbey Choir. 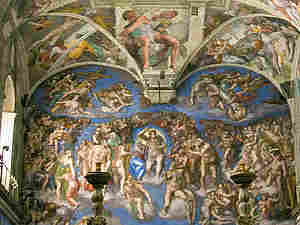 Composer Gregorio Allegri's "Miserere" is a piece of choral music so powerful that a 17th-century pope decreed it could be played only during the week leading to Easter — and then only in the Sistine Chapel. Jesse Kornbluth of HeadButler.com talks about the "Miserere" with Jacki Lyden.